A photo-book by Cesare Bedognè, 2015. Including 110 black and white photographs from the Innerscapes, Broken Images and Leaving series. 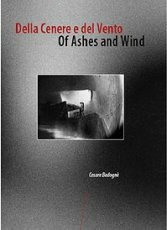 Bilingual texts (Italian/English) by Cesare Bedognè, Christian Stobro-Karlsen and Emanuele Ferrari. Cover photograph by Cesare Bedognè, from the Innerscapes series.